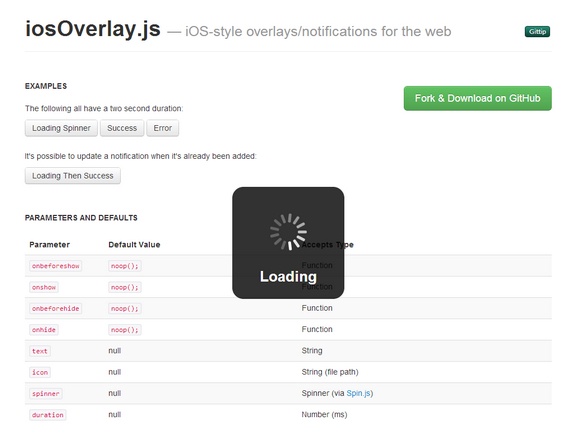 iosOverlay.js is iOS-style overlays/notifications for the web. It has been tested on IE7+, Google Chrome, Firefox, Opera, Desktop Safari, Mobile Safari — iPhone & iPad. To prevent icon flickers as they load, you have to preload image resources. Spin.js is required if you want to use a spinner object. And jQuery is required for a fallback CSS animation support.